3 Bedroom Semi Detached House For Sale in Rotherham for Asking Price £180,000. SPACIOUS semi detached cottage. Having two reception rooms, conservatory and off road parking. Garden to side, perfect for the growing family. 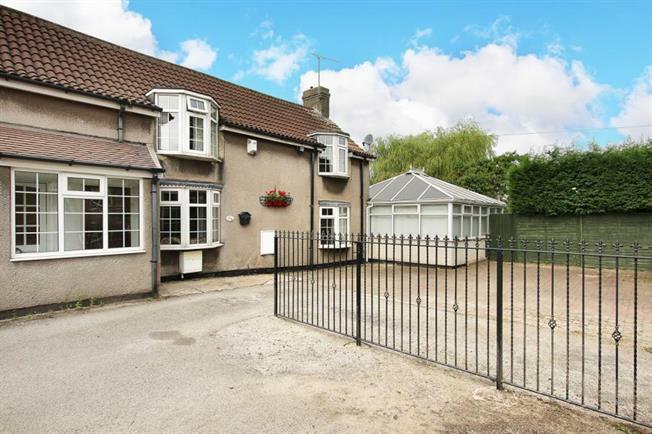 A Rare opportunity to purchase this deceptively spacious, three bedroom semi detached cottage. Situated of park Lane the property must be viewed to appreciate. Giving access to public transport links and local amenities. In brief the property comprises of entrance porch, opens through to the dining room which gives access to the kitchen having a a range of wall and base units, stairs rise to the first floor landing. From the dining room leads through to the lounge and access to the spacious conservatory. First floor landing provides three bedrooms and family bathroom. Outside parking to front and larger than average gardens to the side. VIEWING A MUST.